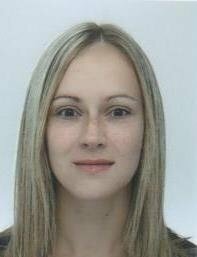 I studied Psychology in 2006 - 2009 at York university and achieved the highest mark in my academic year, winning the microsoft research prize and University awards for outstanding research. I then went on to conduct postgraduate research in Psychoacoustics, working primarily with hearing impaired and profoundly deaf infants which lead to me publishing two academic papers in the field and receiving departmental awards for conference presentations. In 2011 I moved to London, working as a business analyst and consultant, maintaining my interest in Psychology by tutoring A level students across the course of 2-3 years, where my students went from expected E-C grades and achieved B and A's. The most rewarding element was how I developed a genuine bond and trust with their families and themselves, which inspired them to undertake Psychology further at University. In 2013 I moved to Northern Ireland as a business consultant, maintaining tutoring over skype. I then moved to Cheltenham in January 2016, again maintaining tutoring of two University students via Skype. I also tutored another A level Psychology student in Cheltenham, who went from D/E grades to solid B grades. Wile working full-time, in 2014 I undertook my masters in Occupational Psychology (University of London) part-time, which I have just completed (awaiting the results!). I am starting my PhD in Psychology this October (2016). I have a genuine passion for Psychology and teaching - the ability to impart knowledge onto others is what drives me and gives me a genuine 'buzz', and this I believe inspires all who work with me. I provide handouts, reading material, exercises and examination technique suited to each syllabus (AQA, OCR, EDEXCEL or any others). My handouts are designed in a framework specifically tailored to answering examination questions (i.e. rather than a book which can be cumbersome), where the notes are structured by the mark scheme (e.g. in this paragraph, you would receive 4 'AO1' marks). This technique I learnt from being an examiner myself, so utilising full knowledge of how examiners 'like to see' answers, and how they will award marks accordingly. It is this I believe which is responsible for my tutoring success thus far. Joanne conducts herself very professionally. She is punctual and reliable. After only one meeting it is difficult to assess her tutoring skills, but we are confident that she knows her subject. We are hopeful that she will pass this knowledge on to our son with a good pass in his psychology A level. Joanne is reliable and a great tutor for my 16 yr old daughter , pleased we have found her . Wendy & Anthony are welcoming and kind, and it is a pleasure to tutor their daughter through her A-level studies.